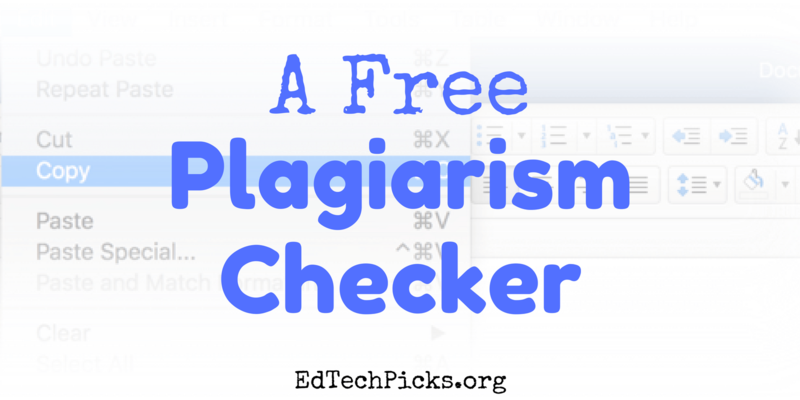 PlagiarismChecker.com provides teachers with a quick and easy way to check content from student work for exact phrase matches on the internet. Tools like Turnitin are much more robust, but can be cost prohibitive for teachers. Simply go to PlagiarismChecker.com. Like most free sites, it’s littered with adds. In fact, you’ll need to close the add that pops up in the bottom right corner before you can use the site. To get started, copy any suspicious sentence from a student paper and paste it into the search box. You can enter multiple phrases or sentences, just hit “Enter” after each phrase. Click search when you are done entering phrases you want to check, and a Google search for your phrase or phrases will open. Exact phrase matches are shown in bold on the search page. 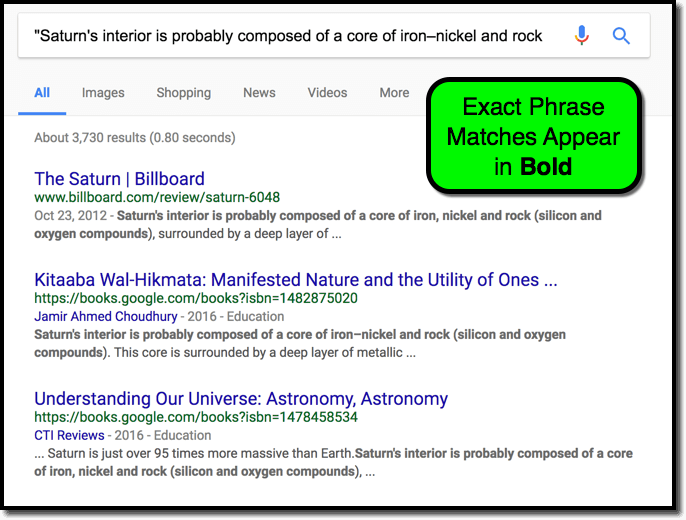 You can achieve the same results by performing an exact phrase match in Google. Just enclose your phrase with quotation marks in the search box. PlagiarismChecker.com just streamlines the process. 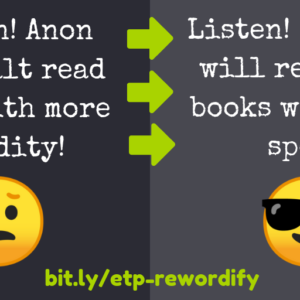 Know of Another Free Way to Check for Plagiarism? Share your suggestions in the comments below or on Twitter. Great to see more options other than turnitin. I’d love to know if there is a checker that could be easily integrated into Classroom and Google Docs. Me too! I’ll definitely let you know if I come across one. I just came across Unicheck. I haven’t had a chance to check it out yet. 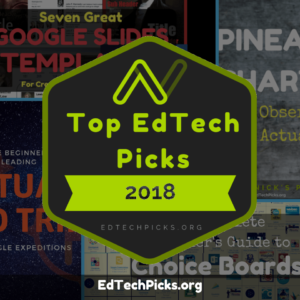 I’m not sure they have a solid free option, but it does look like it integrates with Google Classroom and a few others. Alternative to Turnitin is the most popular option. I’ve got acquainted with Unicheck recently at my school and must admit that one can work with it via its Add-on just in Google Docs. It’s really convenient. As for the integration with Google Classroom, I don’t know exactly, but it’s worth trying I suppose. Thanks for sharing, Anna. 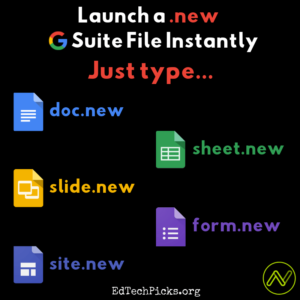 I’ll definitely have to check out the Google Docs add-on! Unicheck looks interesting. However I downloaded the addon and just created an account using my google account. To use the addon in google doc I need to sign in using my “social account”, however when I follow the links I am already logged in. So, there is some disconnect between the addon and the login process (or I just missing something) and I can’t get the addon to work. Regardless, it only offers 5 free pages, so it’s a subscription service.